In most cases, blockchain is associated exclusively with cryptocurrencies, but this is not quite true, because the scope of the technology application is much wider. Many industries from telecommunication to healthcare have already appreciated the opportunities of decentralization. As for the gaming universe, blockchain technology is able to create new forms of monetization, introduce more reliable player authentication and change the gameplay in various ways. A major bonus of blockchain gaming is about creating unique items, confirming property rights, and even making a profit in the virtual gaming space. Also, this applies to all kinds of in-game items, artifacts, characters, maps, user accounts, and so on. Enjin gaming platform is a powerful example of how blockchain can transform virtual space for the better. “Imagine using a legendary sword in more than one game. Conjure that image in your mind — jumping from one virtual world to another, and bringing your characters, weapons, vehicles, sidekicks and gear with you. Just think about that for a moment. – That is how colorful Ilija Rolović, CMO at Enjin describes the possibilities of the new blockchain gaming multiverse designed by Enjin developers. 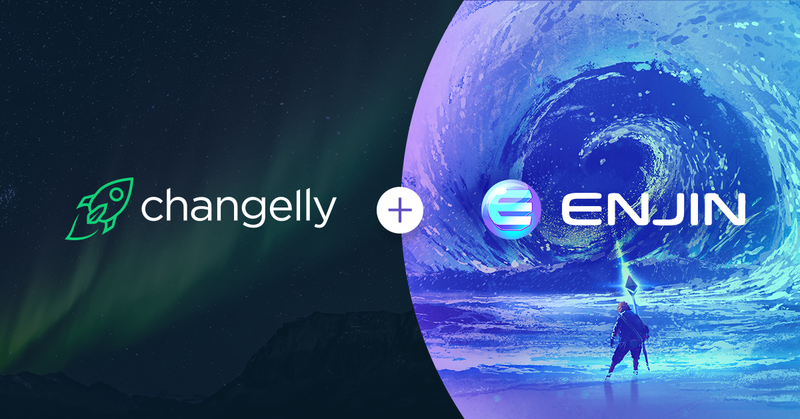 In collaboration with Enjin, Changelly space team now provides an easy way for gamers to earn 130+ cryptocurrencies as rewards for their in-game achievements. Gamers will be able to seamlessly cruise across virtual worlds, gathering items backed with Enjin Coin (ENJ). 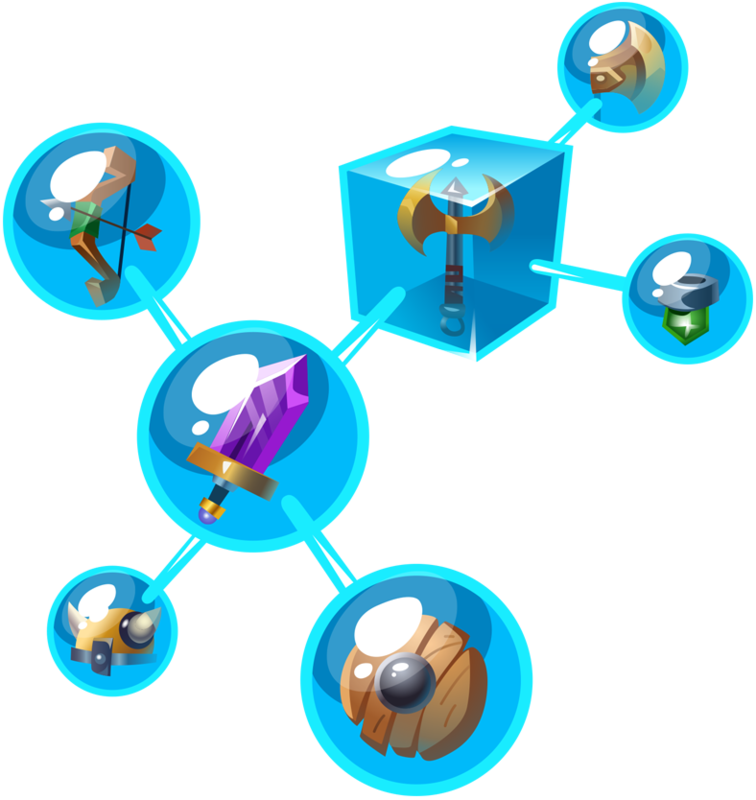 They can then use the Enjin wallet to melt down those items to retrieve the ENJ within. With the push of a button, users can then trade ENJ for 130+ different currencies, including Bitcoin, Litecoin, and Ethereum using the Changelly trading platform inside the Enjin Wallet. Within minutes players will be able to convert their gaming items to Bitcoin in a seamless experience that hasn’t been possible until now. Imagine you’re playing a mainstream game and would like to earn some Bitcoin. While playing, you earn items that have Enjin Coin locked inside them and you melt those items down in the Enjin Wallet. Then, without leaving the wallet, you use Changelly to trade ENJ for Bitcoin. This is a groundbreaking innovation and is sure to bring a lot more users, developers, and sustainable mainstream adoption to the crypto space – which is of massive importance if our goal is to reduce volatility in the crypto market. Changelly CEO Ilya Bere admits. Enjin is a leading blockchain ecosystem developer. Enjin builds a suite of user-first blockchain products that enable anyone to easily create, manage, trade, store, explore, distribute, and integrate blockchain assets. Built on top of a robust on-chain infrastructure, and comprised of the Enjin Platform, Explorer, Wallet, Beam, and other tools and services, the Enjin ecosystem empowers gamers with true ownership of digital assets and enables game industry businesses to increase revenue, gain a competitive edge, and innovate in previously impossible ways. Forged in gaming, Enjin’s tools and services can also be used by companies of all sizes and industries seeking to create blockchain-powered products or utilize tokenized digital assets as part of their acquisition, retention, engagement, and monetization strategies. The Enjin ecosystem is fueled by Enjin Coin (ENJ), an Ethereum-based cryptocurrency used to directly back the value of next-generation blockchain assets. Today, there’s millions of ENJ locked in blockchain-based digital assets. Changelly is a non-custodial instant cryptocurrency exchange. We act as an intermediary between crypto exchanges and users, offering access to 130+ cryptocurrencies. The company mission is making exchange process effortless for everyone who wants to invest in cryptocurrency. Operating since 2015, the platform and its mobile app attract over a million visitors monthly who enjoy high limits, fast transactions, and 24/7 live support. Changelly offers its API and a customizable payment widget to any crypto service that wishes to broaden its audience and implement new exchange options. The platform also provides its Affiliate program with a 50% revenue share mechanism. Changelly partners with Jaxx, Coinmarketcap, BRD, Coinpayments, Binance, Coinomi, Huobi Wallet and other well-known players in the crypto industry.